Japanese scientists have made a discovery that is going to help us manage our vast trash of disposable plastic water bottles which have become a nuisance to the environment. They have found a new bacteria species that eats the plastic found in water bottles. (Read San Francisco bans bottle sale). 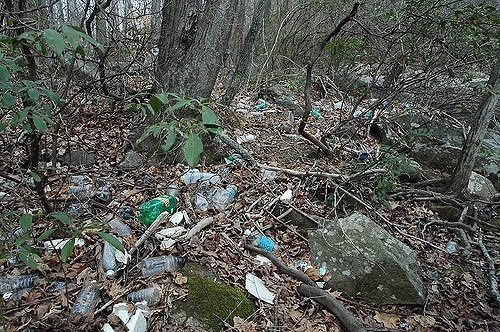 If we go by statistics, it is shocking to know the number of plastic water bottles used and disposed around the world. According to Ban The Bottle, a global organisation devoted to discouraging the use of bottles, Americans use 50 billion plastic water bottles every year and just 23 per cent of them are recycled. Ban The Bottle says that though many people drink packaged water believing it to be pure and clean, it is not necessarily the case. In the United States, 24 per cent of bottled water is either Pepsi’s Aquafina (13 per cent of the market) or Coke’s Dasani (11 per cent of the market). Both brands are bottled purified municipal water. The discovery of the plastic-eating bacteria can lead us to better manage millions of tonnes of plastic produced globally every year. Plastic accumulation in the oceans is harmful for marine life. Plastic remnants have been found in the stomach of fish, seabirds, turtles and whales. Earlier, nanoplastic particles (in the order of tens of microns in size) were found in significant amounts in oysters and mussels cultured on the coasts of northern Europe. Bags and bottles have also been found on the Mediterranean seafloor. The type of plastic used in water bottles is known as polyethylene terephthalate or PET in common parlance. PET is lightweight, colourless and durable, but at the same time it is resistant to biodegradation. (read Dump Wars and Biodegradable at last). The Japanese team from the Kyoto Institute of Technology and the Keio University led by Shosuke Yoshida collected 250 PET-contaminated samples which included sediments, soil and wastewater from a plastic bottle recycling site. After that they screened the microbes living on the samples to see whether any of them were eating the PET or using it to grow. “The consortium contained a mixture of bacteria, yeast-like cells and protozoa,” Kenji Miyamoto from Keio University was quoted by news reports as saying. It was eventually discovered that a particular type of bacteria was responsible for degrading PET. The species has been named Ideonella sakainesis. Laboratory tests revealed that the species used two enzymes to break down PET. One thing remains doubtful. Even if research shows us that this particular bacteria species is eating plastics, it is still not clear whether it will stop plastic accumulation in our oceans. Hope the bacteria is soon put into into action by way of being offered a sumptuous feast of it's favourite food and rid the country of the enormous plastic menace!